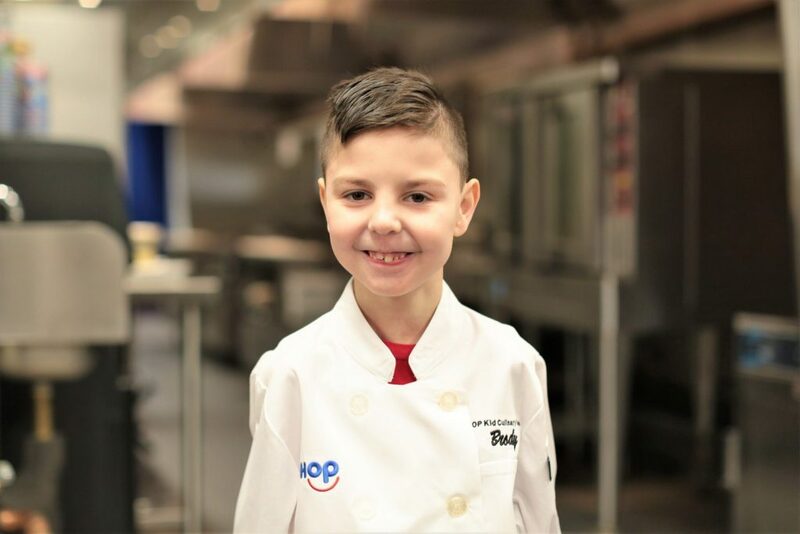 Meet IHOP Kid Chef Brody! Brody Simoncini is a funny, active six-year-old with a love of sports, particularly Boston sports teams. He was born with Giant Omphalocele, a rare and life-threatening abdominal wall defect that caused some of his organs to be on the outside of his body. 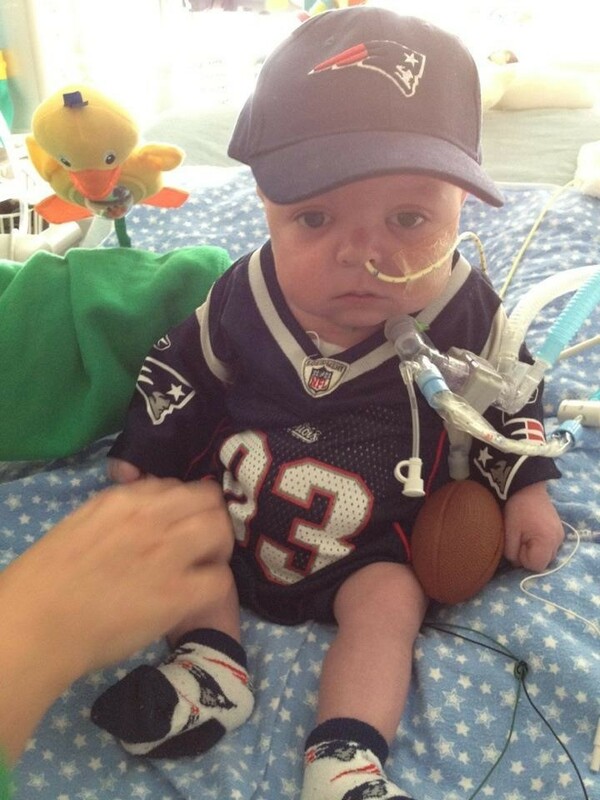 Brody spent the first seven and a half months of his life at Boston Children’s Hospital, where he underwent multiple surgeries, including open heart surgery at just two-months-old. Brody has recovered more and more, year after year, and now all the machines and tubes have started to become distant memories. Brody’s smile and personality can light up a room. He is an active first grader and plays flag football, baseball and basketball. He also loves elephants, to dance, make people laugh and spend time with his brother and cousins. Brody’s pancake creation is the OREO® Oh My Goodness pancake because Oreo’s are his favorite cookies! Due to Brody’s Omphalocele he had a stent placed in at four weeks old that saved his life. His first open heart surgery was at two months old. Unable to breath on his own, Brody had a trach put in at three months old. At five months old, Brody underwent yet another surgery to start start putting his organs back inside and was in an induced coma for three weeks during the procedure. 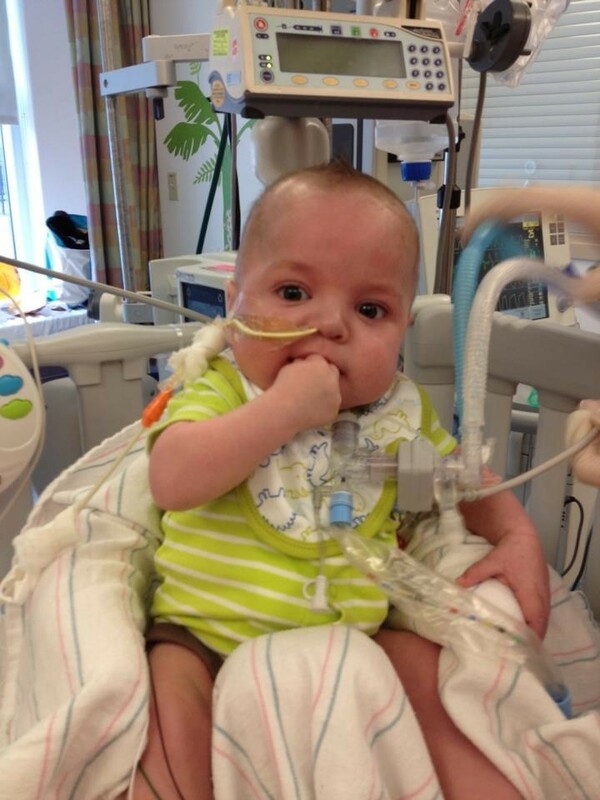 Brody came home on a ventilator, oxygen and with a feeding tube. He thrived so much. Gradually over the years all the machines and tubes started to become just memories. Brody’s smile and personality could light up a room. You would never guess looking at him what all he has been through. 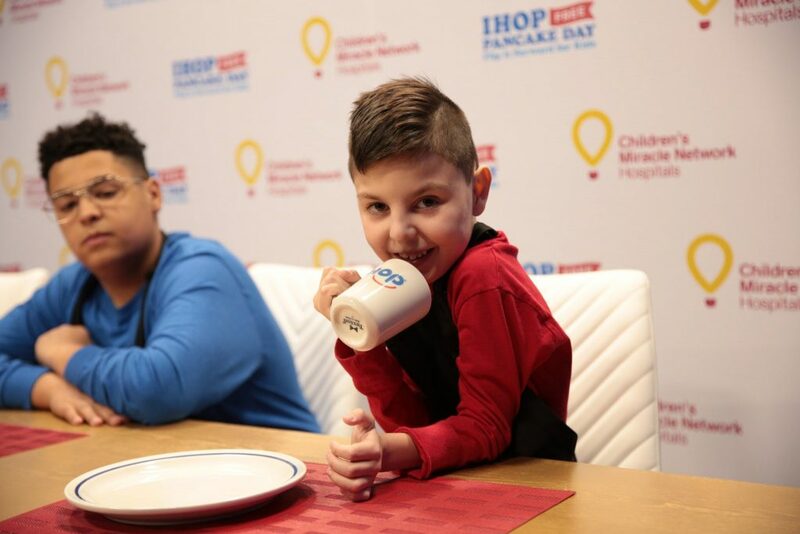 You can help kids like Brody by donating at IHOP now through March 12, 2019. 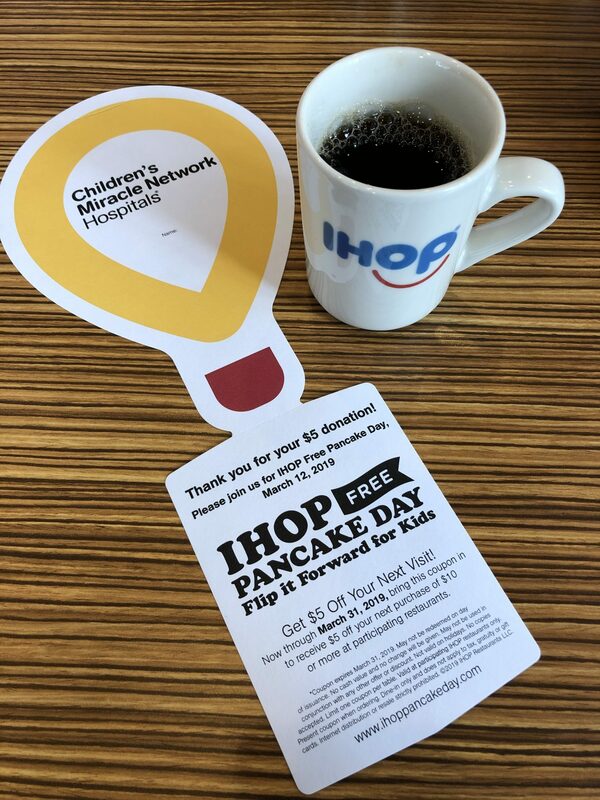 Also, don’t forget to get a FREE short stack of pancakes on #FreePancakeDay and donate on March 12, 2019. Comments for Meet IHOP Kid Chef Brody! Brody you are a ROCKSTAR ……..What a wonderful and uplifting story of your healthy recovery AND discovery if OREO cookies and your pancakes recipe. We will be visiting our local IHOPS on March 12th. AND your OREO PANCAKES will be our new of the day..Jim and Kathy……..
i think your an awesome person brody and a wonderful sport good luck with the oreo pancakes sweetheart have a wonderful life you’re cute with ur baby pics!!! You are an amazing, strong child. I Love Oreo cookies and cannot wait to try them in pancakes topped with the whip cream of course. They look and sound delicious! Thanks for creating this Special Pancake. Love the oreo pancakes. They have become a favorite for me. Next post: Meet IHOP Kid Chef Nellie!